Details A gilder's knife is used to cut loose pieces of gold or silver leaf on a gilder's pad or cushion. The edges must be sharp, but not so much as to cut through the pad as you slice a leaf. Our high quality knives are imported and have a 140 mm (5.5 in.) 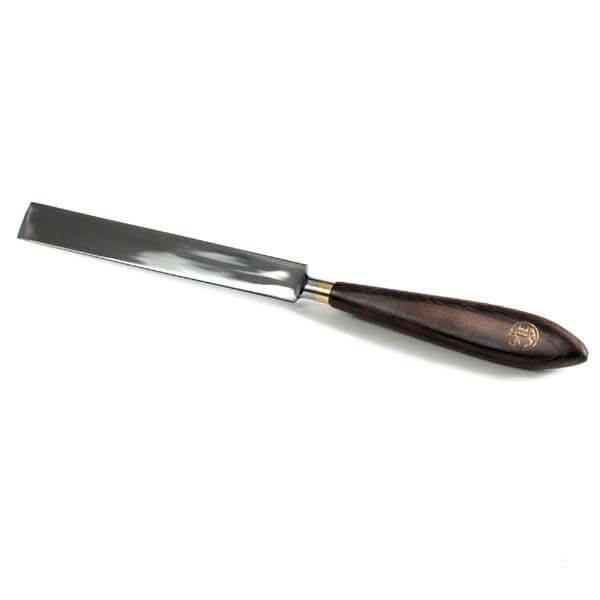 long chrome-plated steel blade set firmly into a walnut handle. The blade has two sharp edges and a square tip that measures 17 mm (5/8 in.) wide. The square tip is useful in manipulating a leaf of gold. To use it, simply draw the blade across the leaf to cut it on the cushion without applying any downward pressure. This knife is sharp but will not cut the pad.